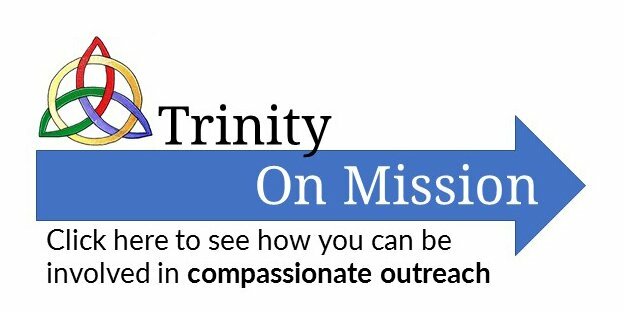 The mission of Christian Education at Trinity Fellowship is to provide meaningful and Godly education that is accessible for visitors and regular church attendees alike, while supporting the teachers and other volunteers. Babies and toddlers will learn to feel safe and loved at church as they listen to Bible songs, simple Bible stories, and thoughts from the Bible. Teachers will engage the senses of our youngest children as they begin to experience the love and care of God through His people at church on Sunday mornings. We will care for your little ones while you worship and engage them in simple Bible stories and songs. Because we care about your children’s safety and security, we require that Parents or Guardians check-in and out their children for any of the above classes. Thank you! The purpose of this study is to help reinforce a biblical world view and prepare students for the intellectual, spiritual, and moral challenges they will face in high school and college, so they aren’t shocked, intimidated, or deceived. Core focus is on Jr. High to High School, but adults are welcome to join the class. The class deals with an assortment of topics on Christian apologetics from both a biblical and scientific perspective. Topics may include: core beliefs of biblical Christianity, evidences for the historical accuracy of the Bible and the integrity of scripture over time, creation and intelligent design versus evolution and the societal consequences of an evolutionary world view, Old Testament and New Testament archaeology and how they relate to scripture, and possibly recognizing logical fallacies, usually in the context of the creation/evolution debate. Joseph will continue to lead this class through Wayne Grudem’s classic Systematic Theology. This class is a continuation of the focused study of the gospel of Luke, beginning in chapter 10. Anyone is welcome to join the class even if you have not studied the first chapters of the book with us. Pastor Bob DeGray will be preaching through the book of Luke at Christmas and into the spring semester, so join this class to get a “head start” on the riches that Luke has written for us in his gospel. The elders have tentatively identified four steps in a pathway that we can use to help individuals grow as disciples of Christ. We are trying to find good materials to use at each step. This fall we will be ‘test-driving’ the materials for the first two steps and we would love for you to join us and give your feedback. At the same time you will be learning how to work with a person who is becoming a disciple. Step 2: Growing as a Believer will use two updated Navigator studies (4 weeks and 5 weeks respectively) to lay the foundation for growing as a believer.